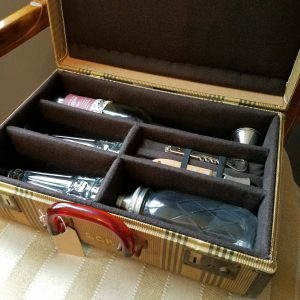 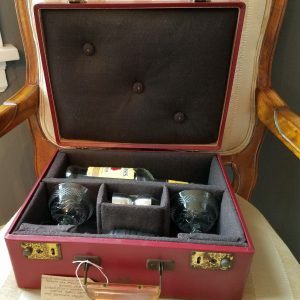 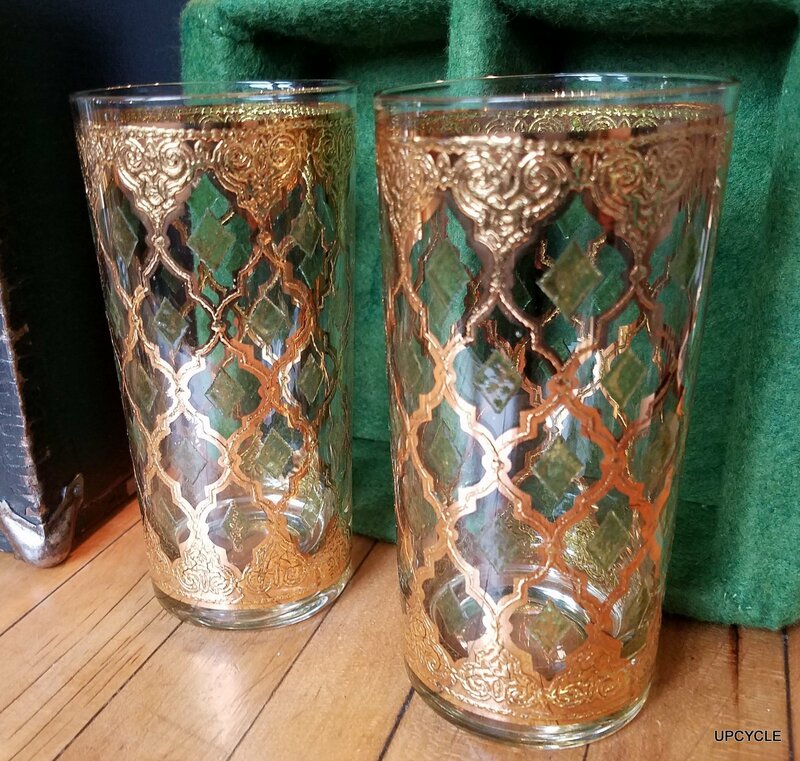 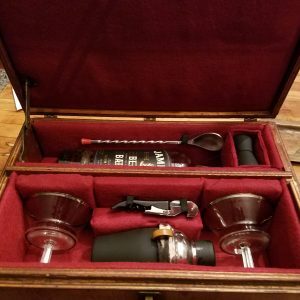 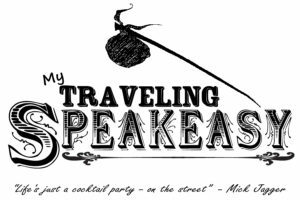 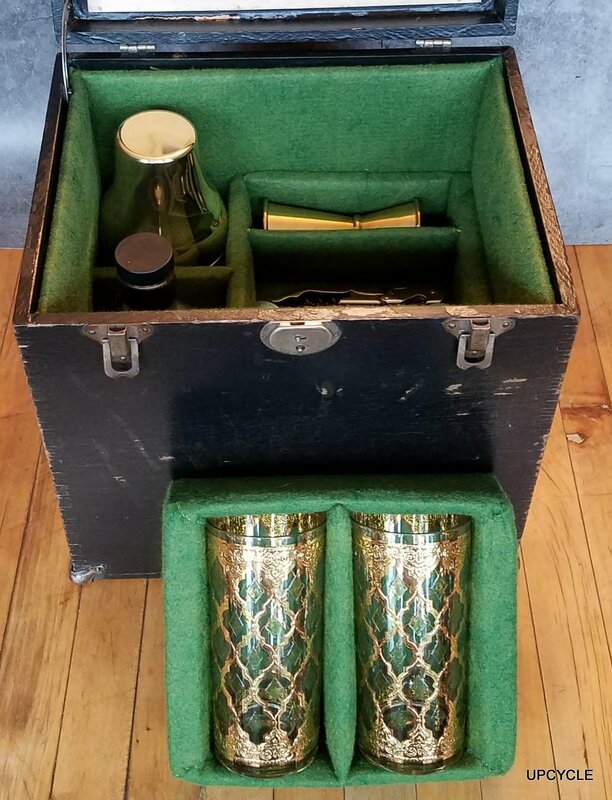 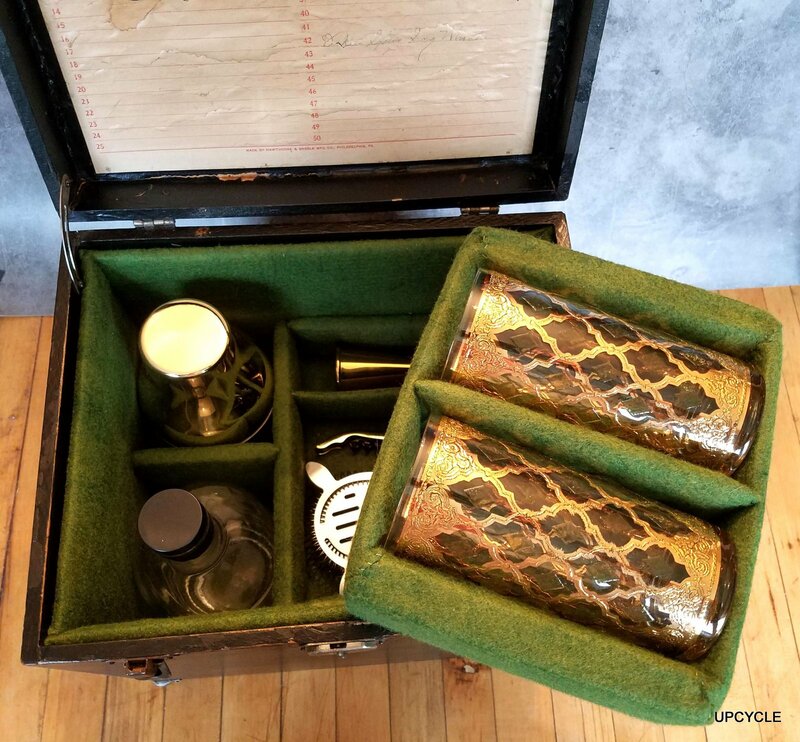 The Hawkins, hand constructed in an antique 78rpm record box, incorporates a pair of vintage 24k gold Hi-Ball glasses with everything you need for a traveling cocktail – except the spirits, of course! 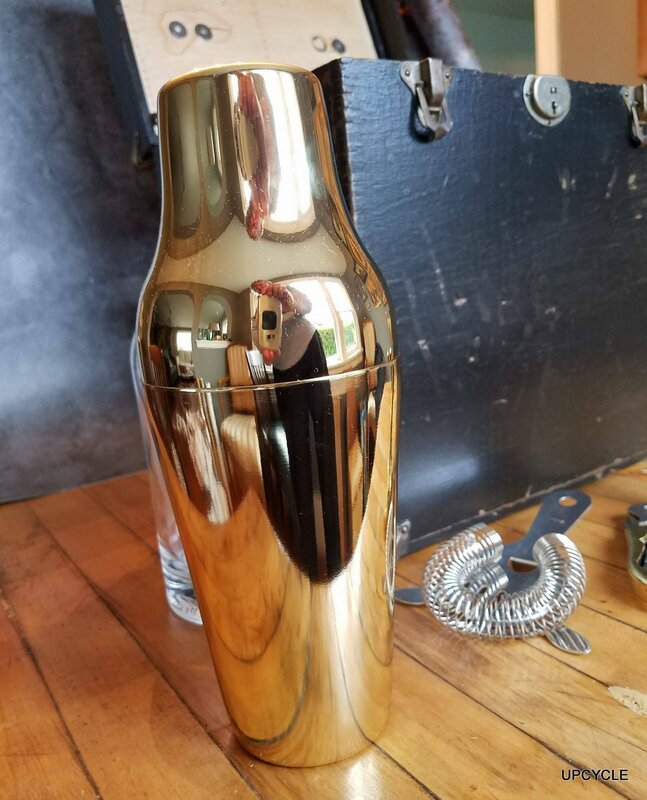 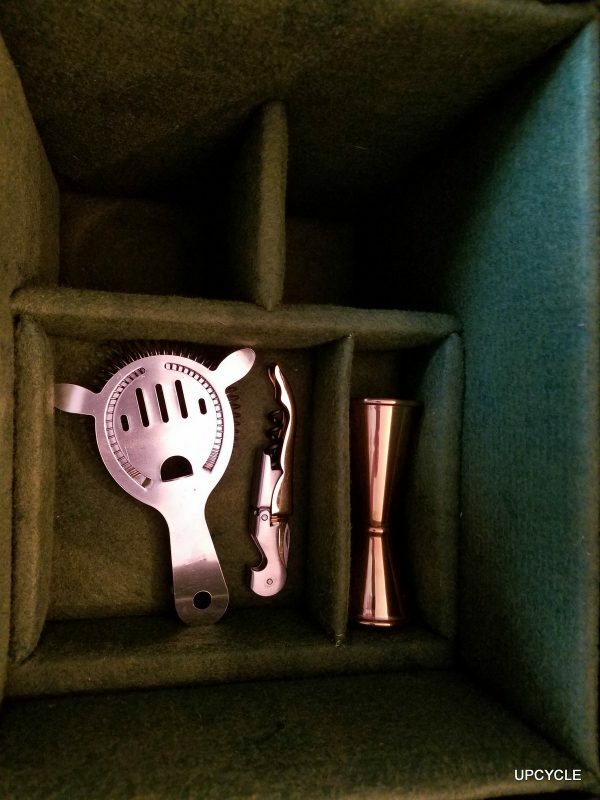 Gold tones rule this bar, with gold jigger & sleek 2 part gold shaker, a gold & chrome professional double-hinged wine & bottle opener & chrome Hawthorne strainer complete this set, making it ready for mixing. 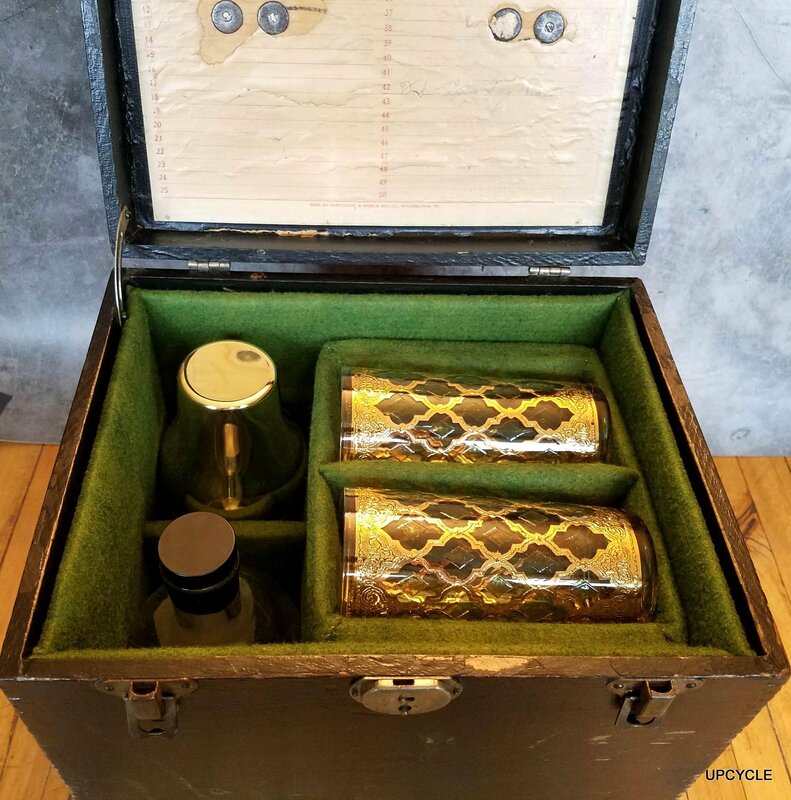 The Hawkins, hand constructed in an antique wooden 78rpm record box, incorporates a pair of vintage 24k gold Hi-Ball glasses with everything you need for a traveling cocktail – except the spirits, of course! Gold tones rule this bar, with gold jigger & sleek 2 part gold shaker, a gold & chrome professional double-hinged wine & bottle opener & chrome Hawthorne strainer complete this set, making it ready for mixing. 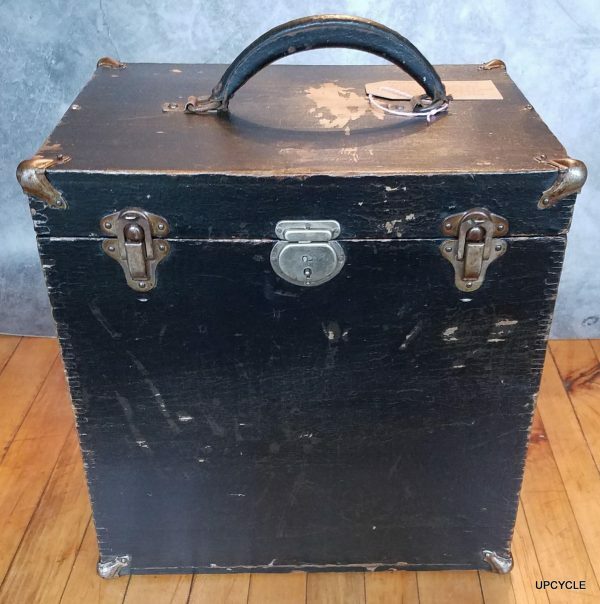 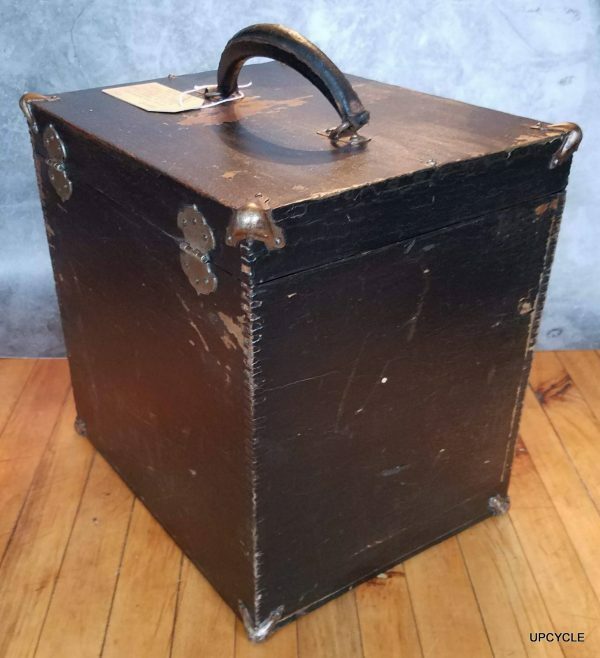 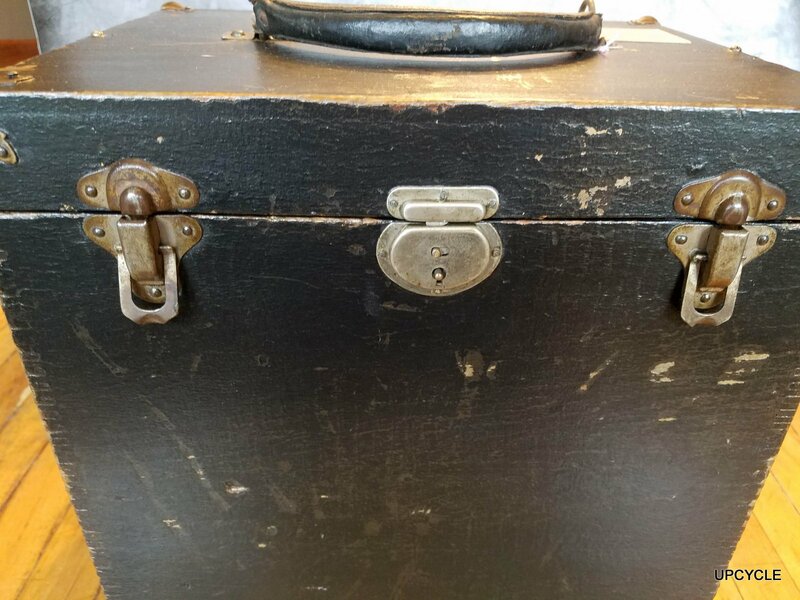 This completely refurbished antique record box has a green wool blend felt upholstered interior, original nickle flip latches to keep it securely closed. 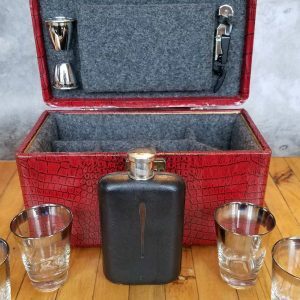 The original leather handle and nickle corner covers give it a bit of flair.